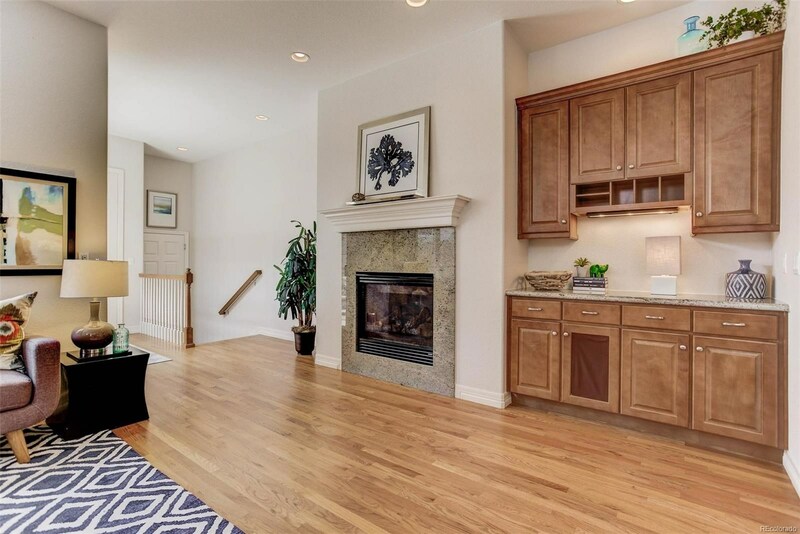 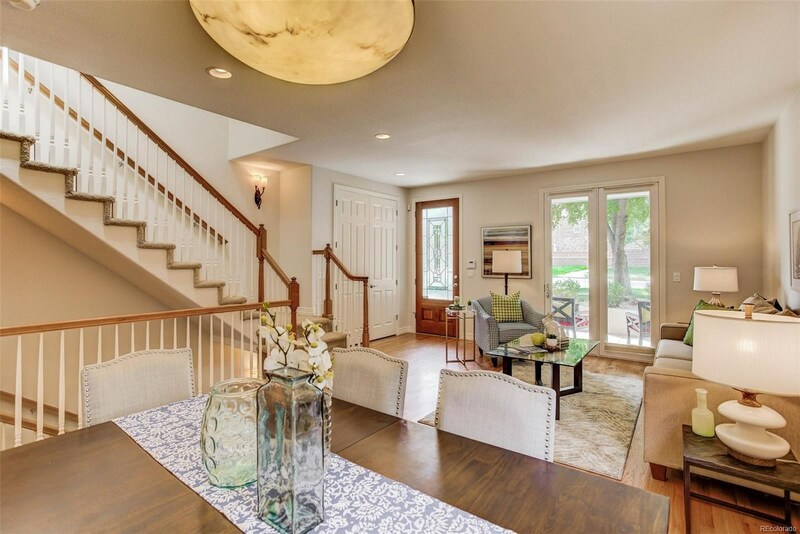 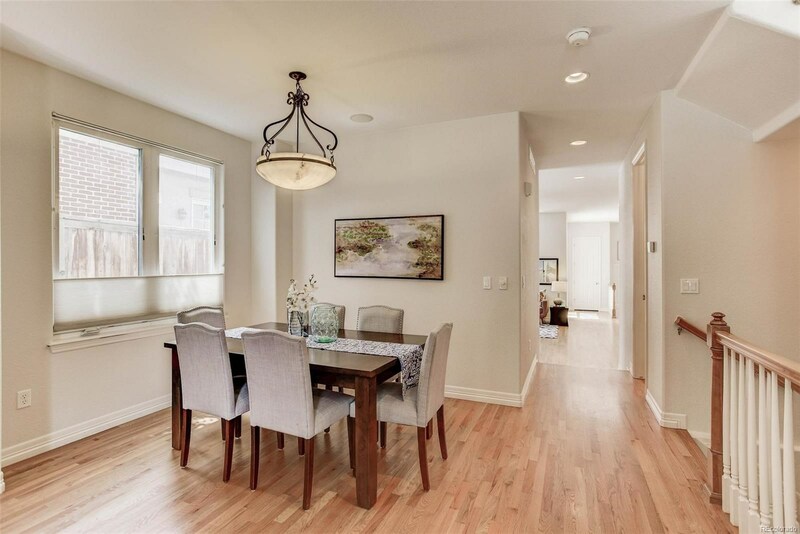 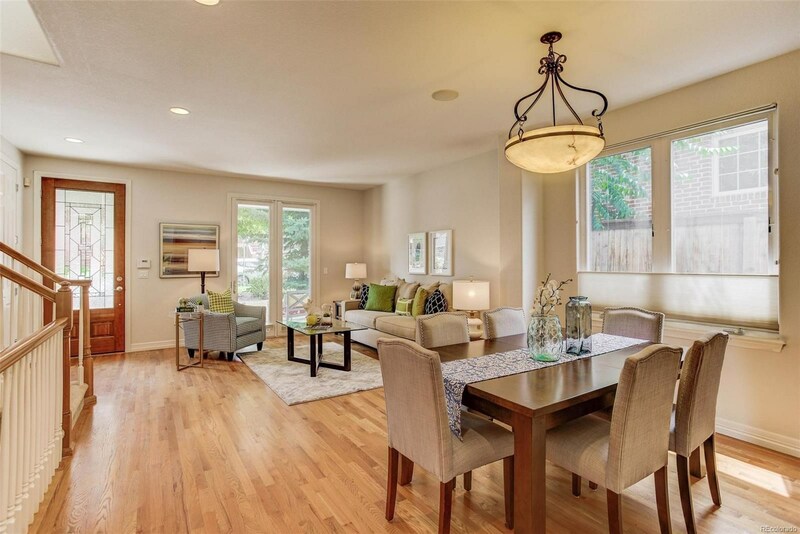 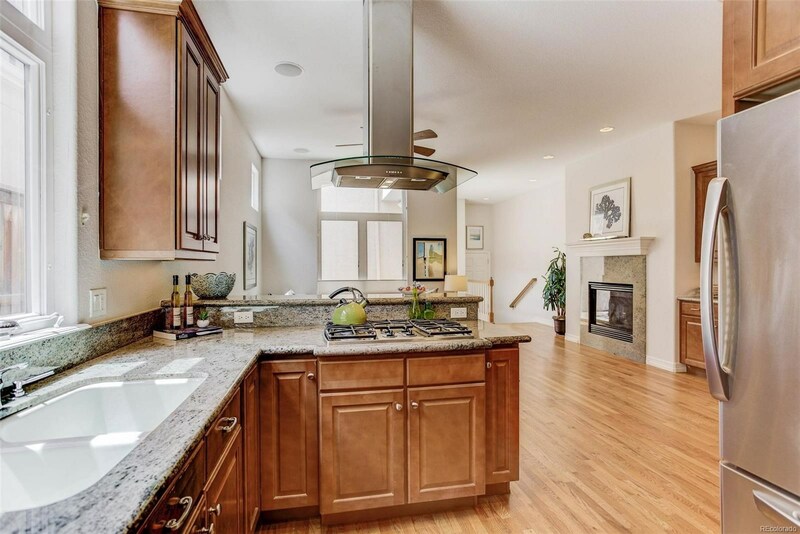 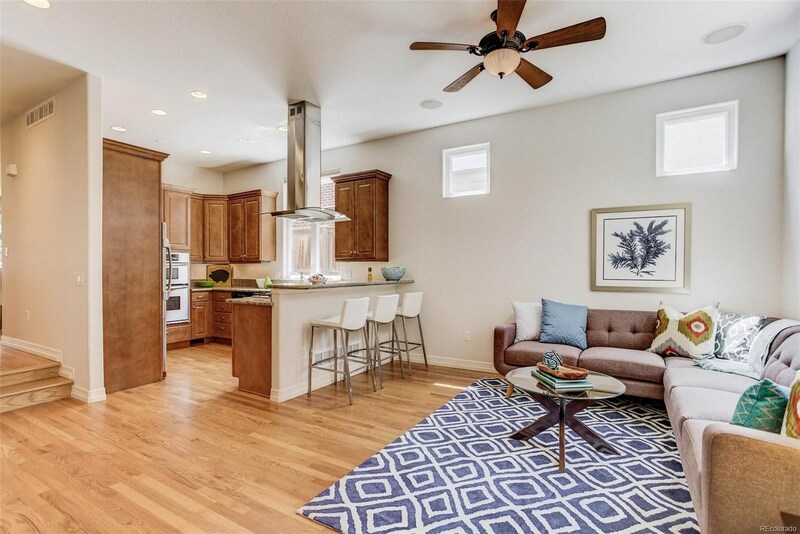 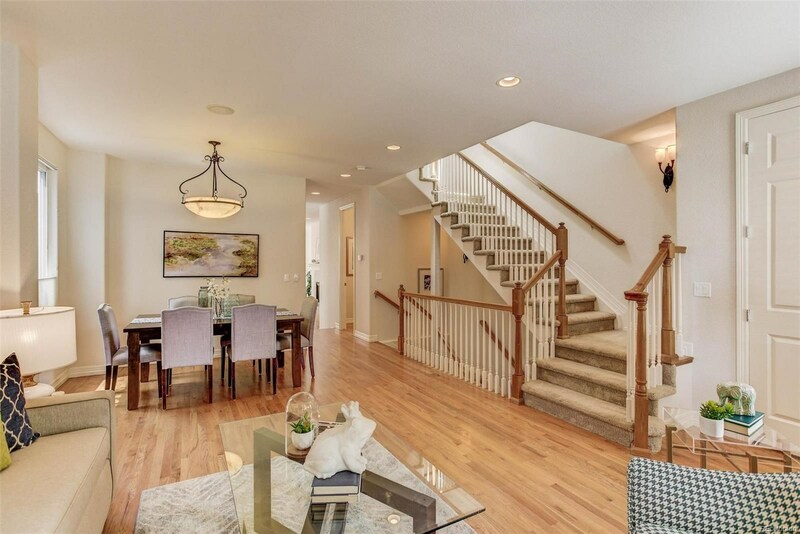 This home embraces with its gracious open floor plan, with tall ceilings and hardwood floors. 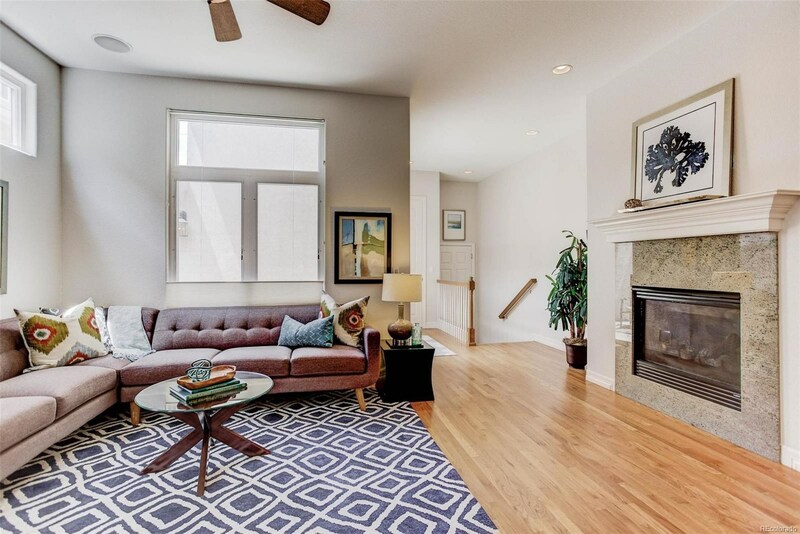 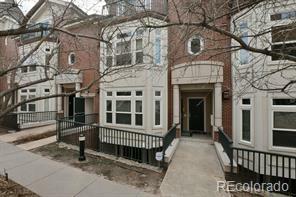 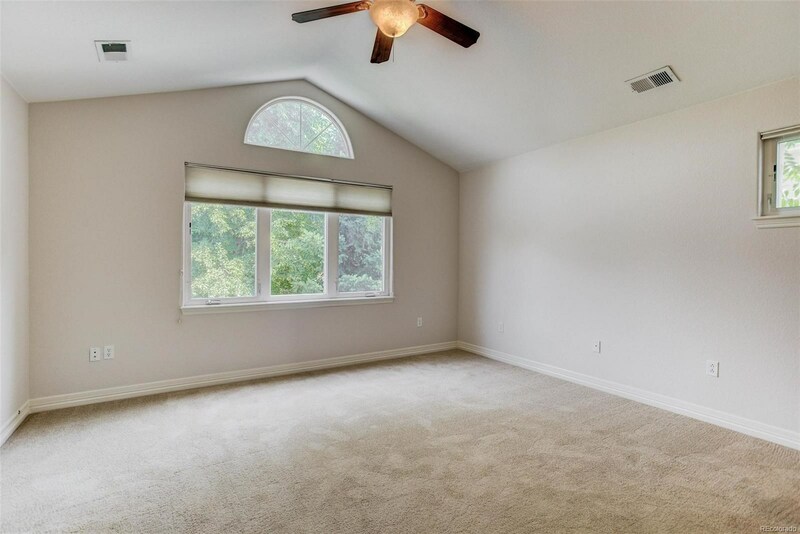 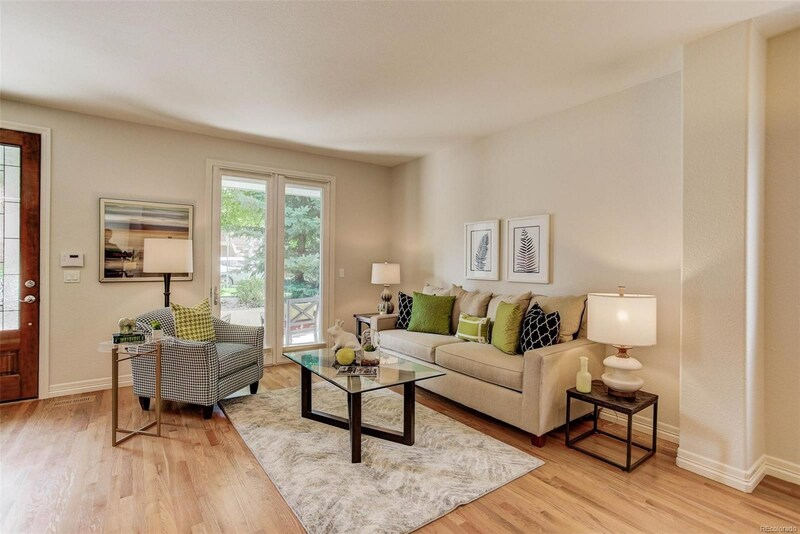 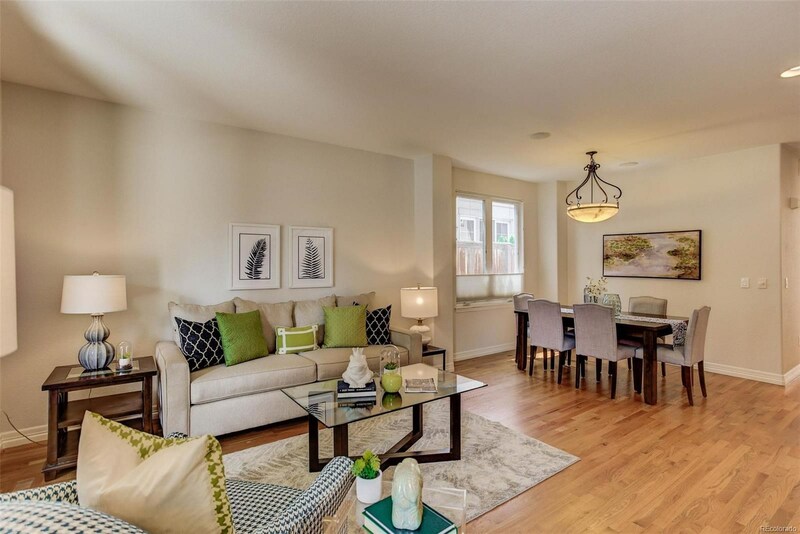 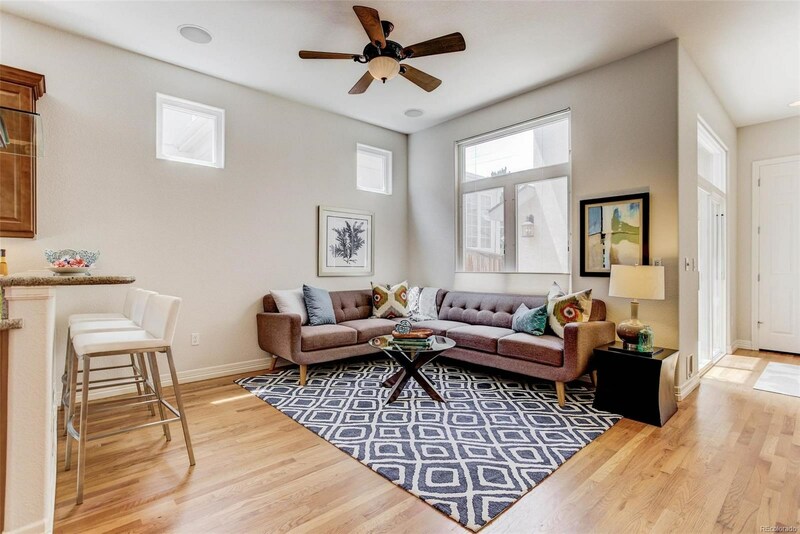 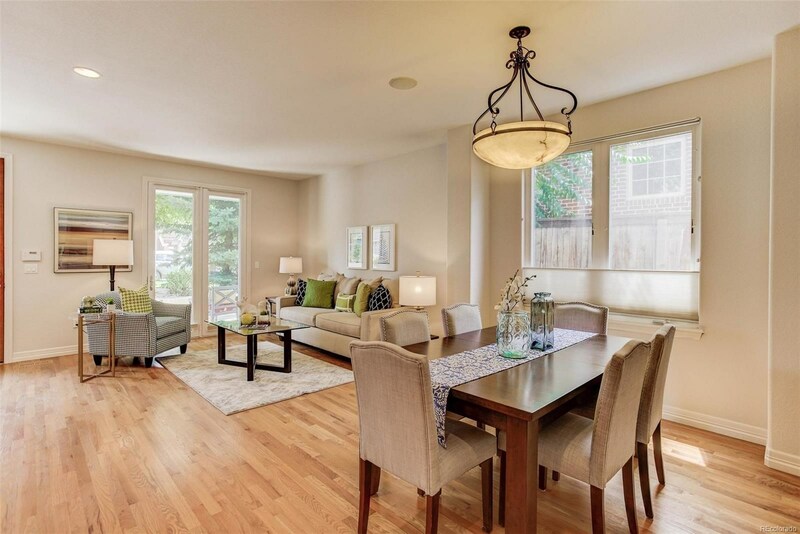 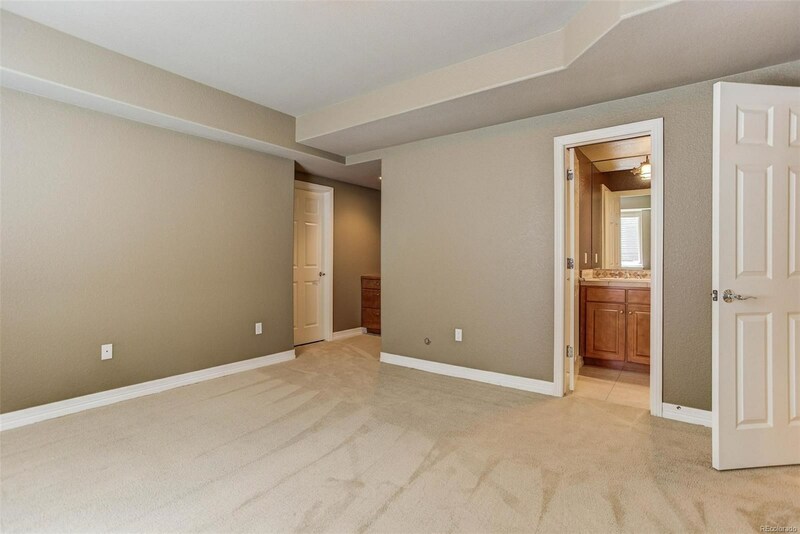 The spacious main floor includes an inviting living room with access to a front patio. 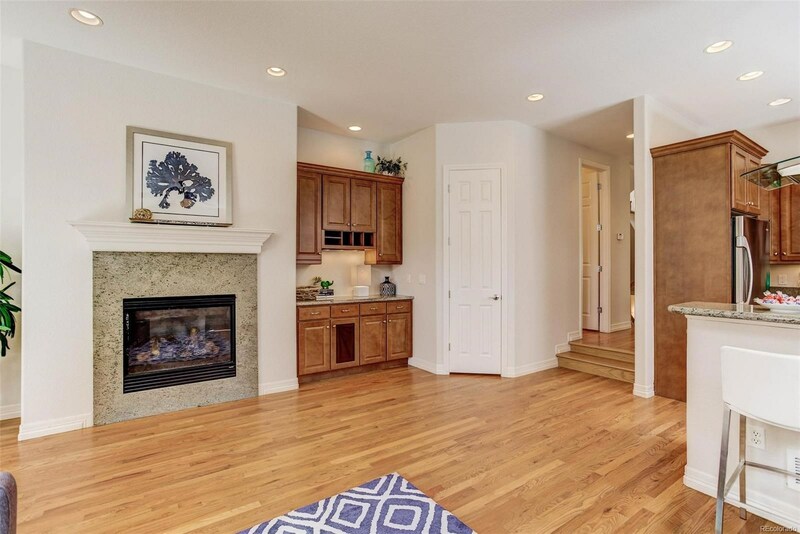 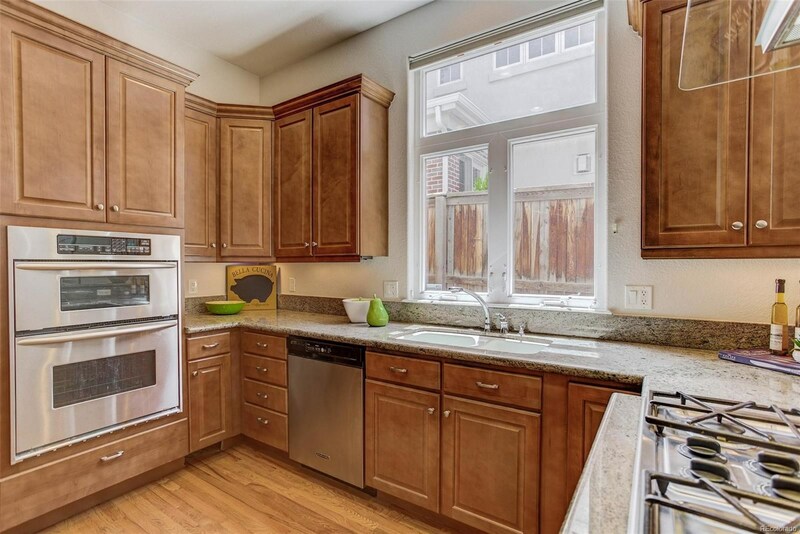 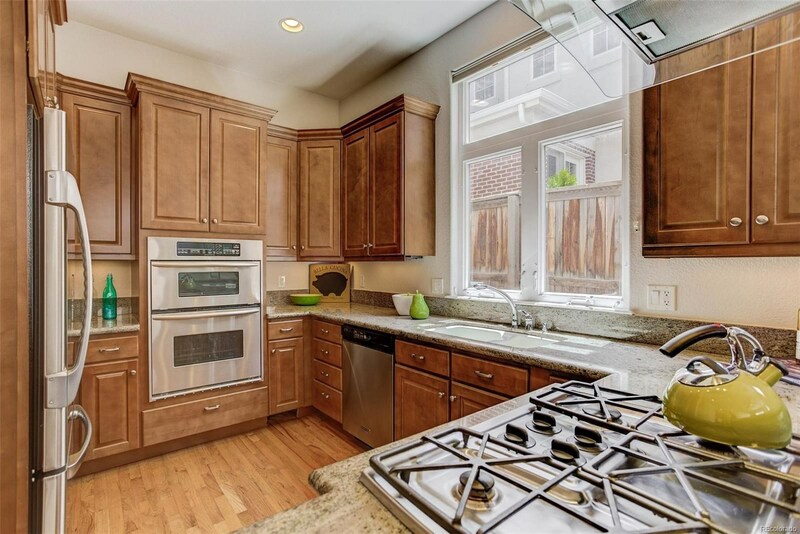 You will also find the combined kitchen, family room and nook, perfect for family time or casual entertaining. 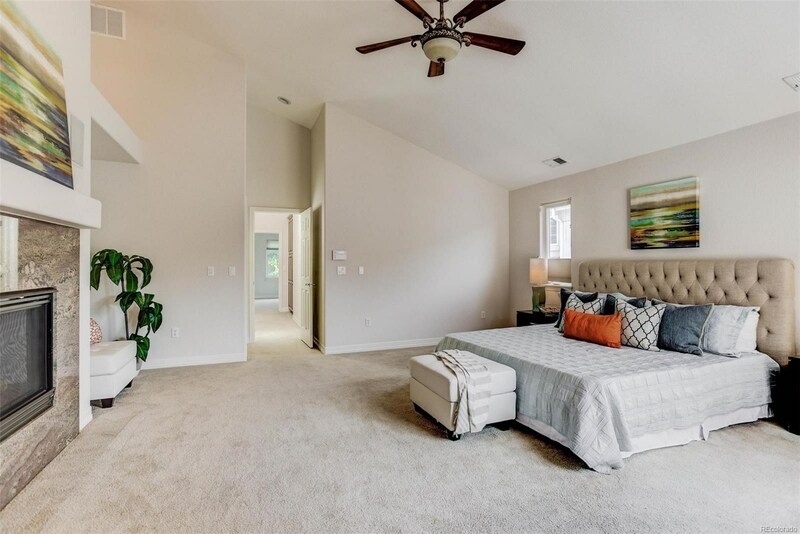 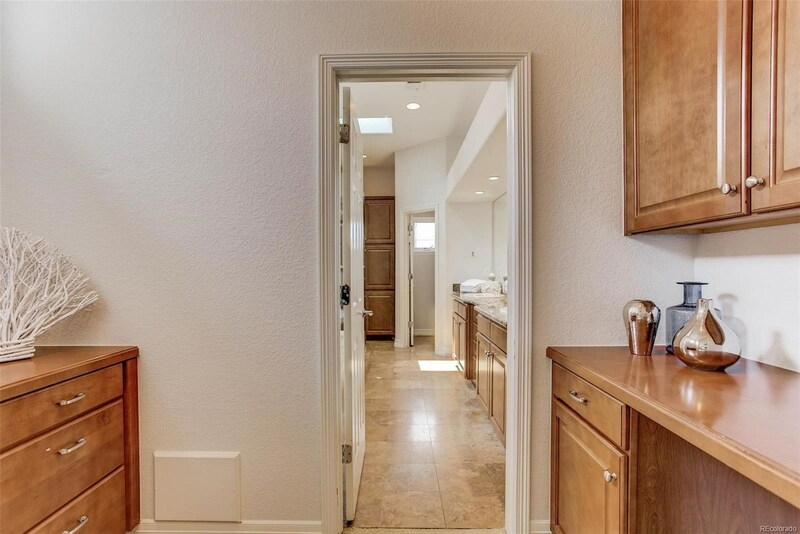 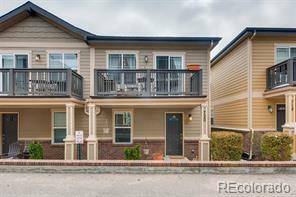 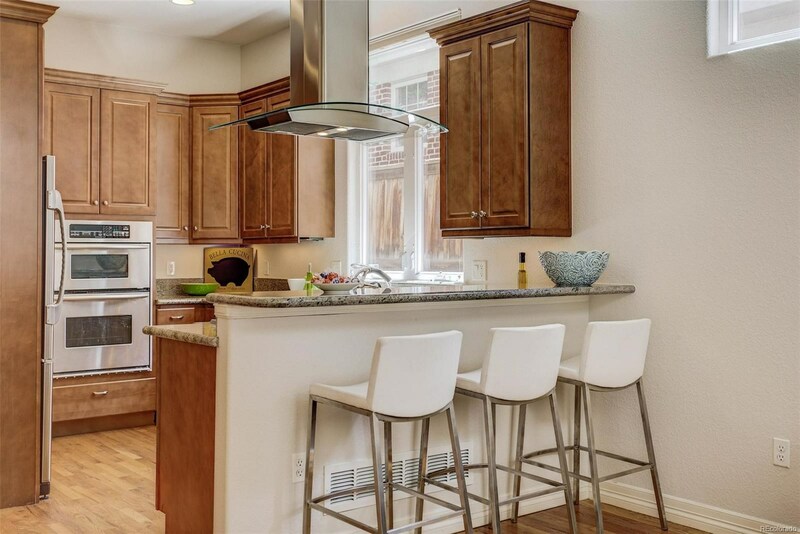 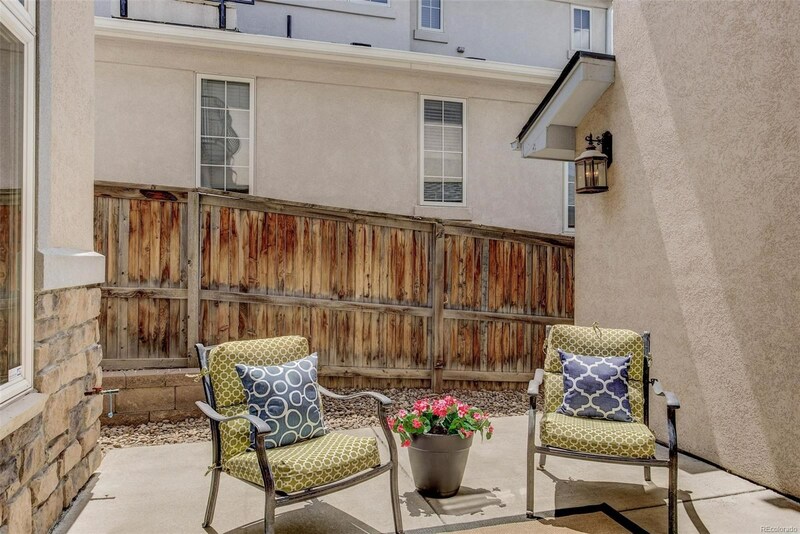 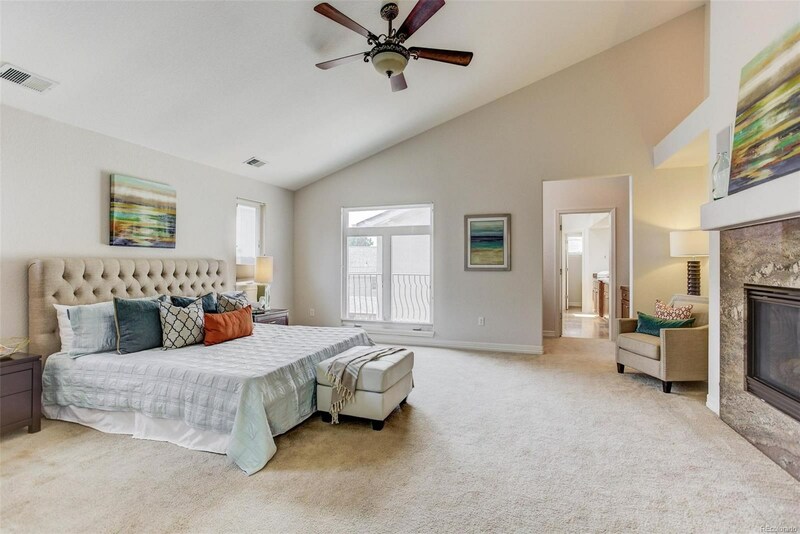 This area features premium stainless steel appliances, granite counter tops, a gas fireplace, sliding doors to an outdoor patio area and access to the attached 2 car garage. 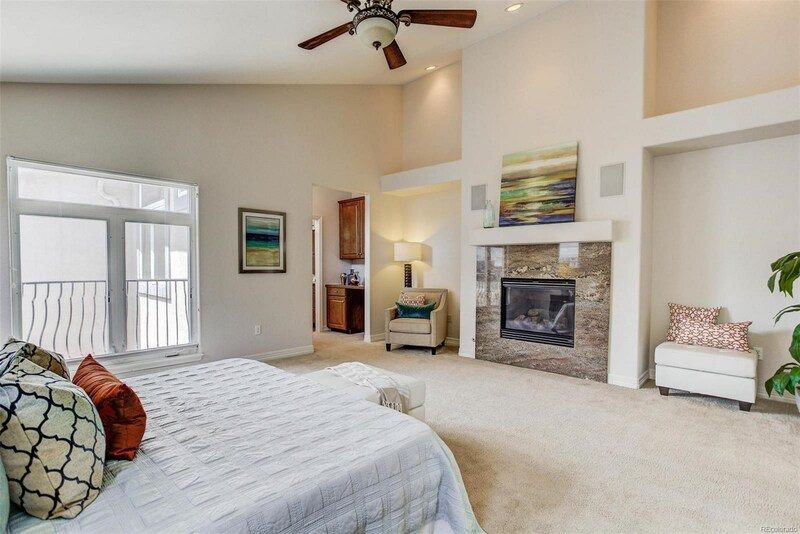 Upstairs the master bedroom has a cozy gas fireplace and 2 walk-in closets. 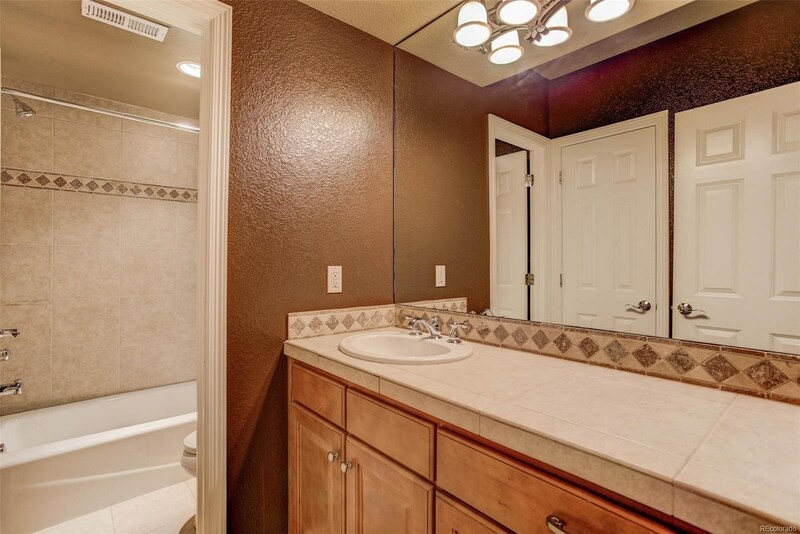 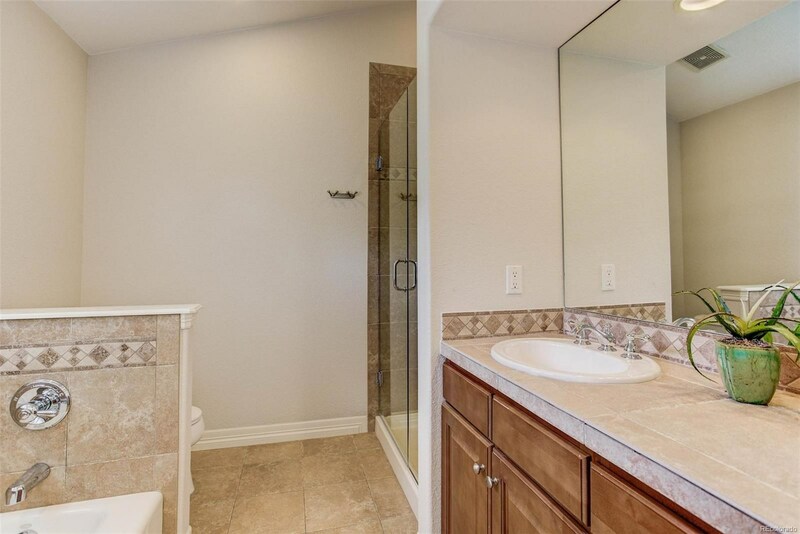 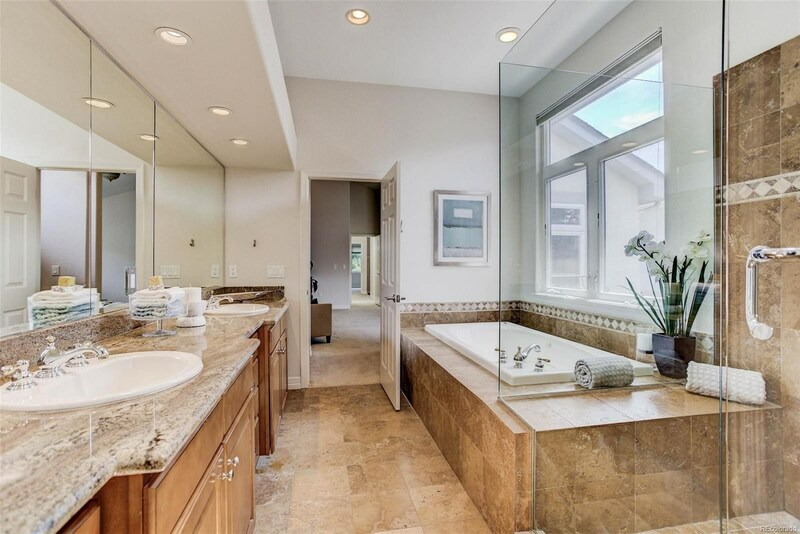 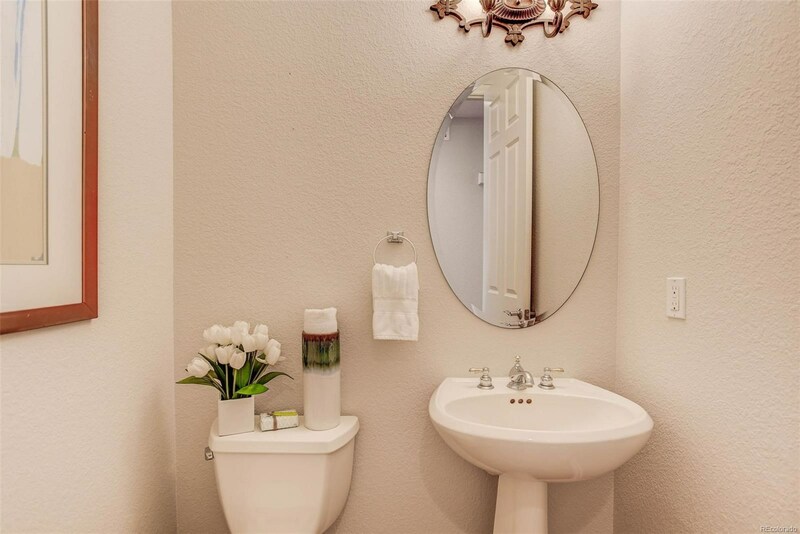 The master bath has dual vanities, an over-sized walk-in shower and a jetted tub. 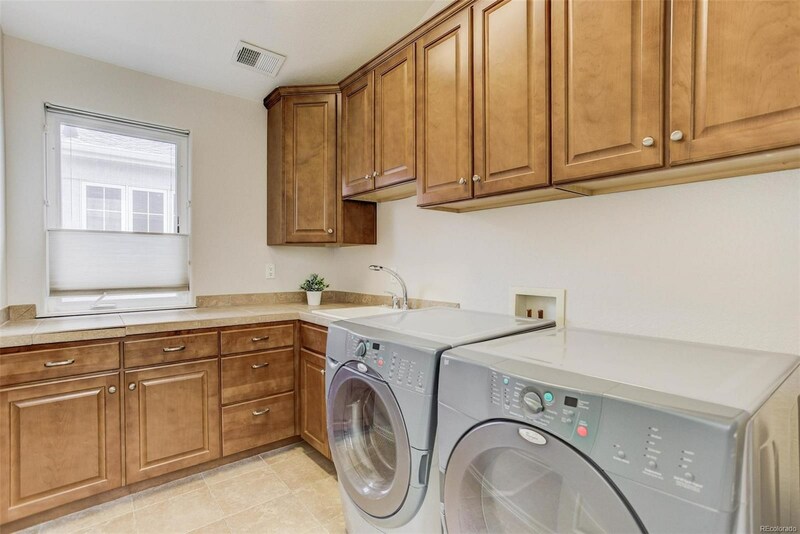 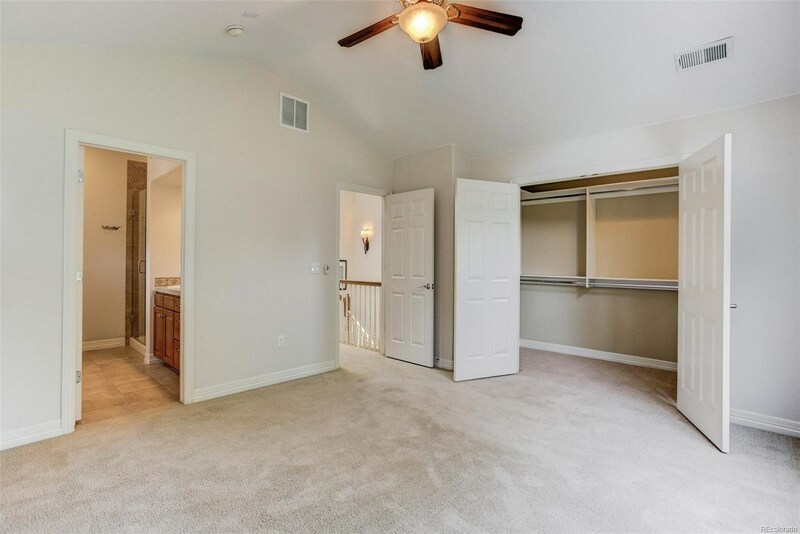 A second bedroom with vaulted ceilings, en suite bath and large closet, and a conveniently located upstairs laundry room, complete the second floor. 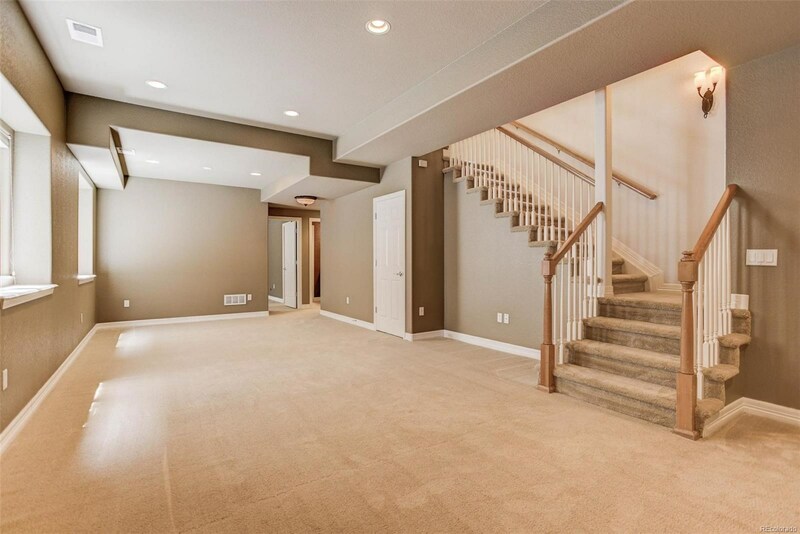 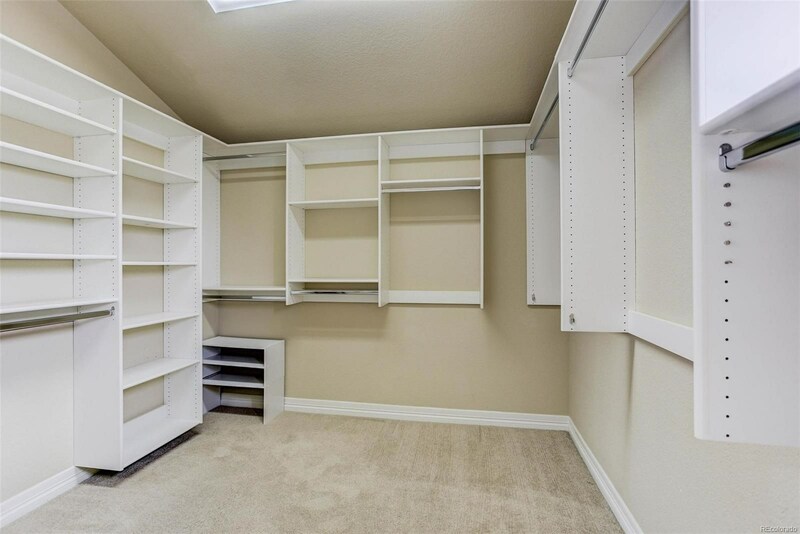 The finished basement boasts high ceilings, a spacious great room, a private third bedroom, a full bath and a storage area. 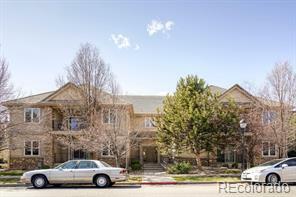 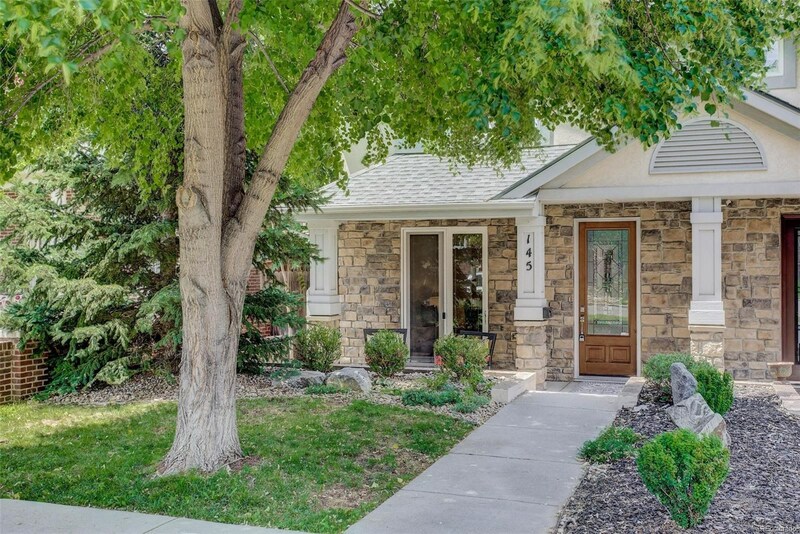 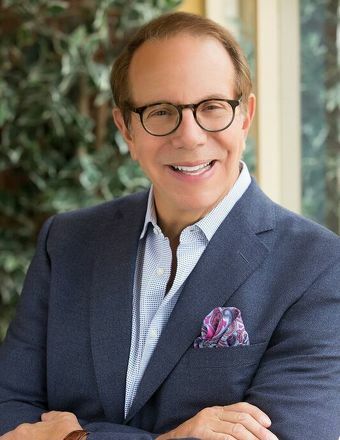 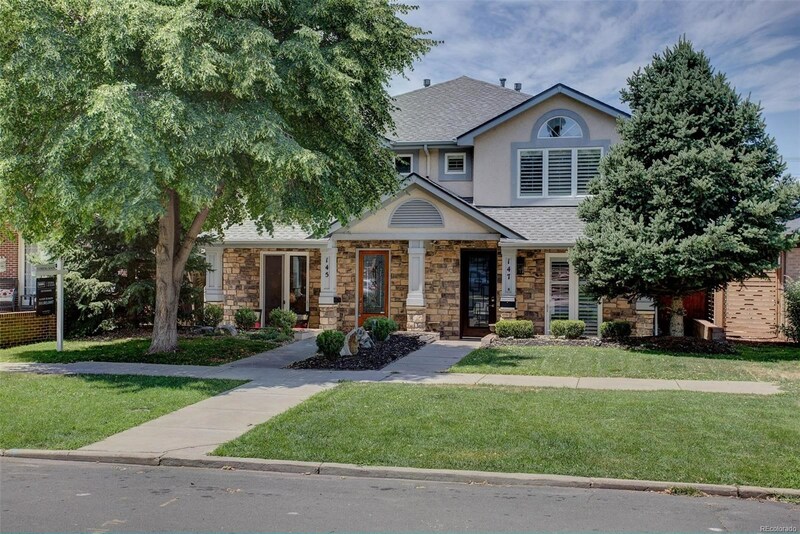 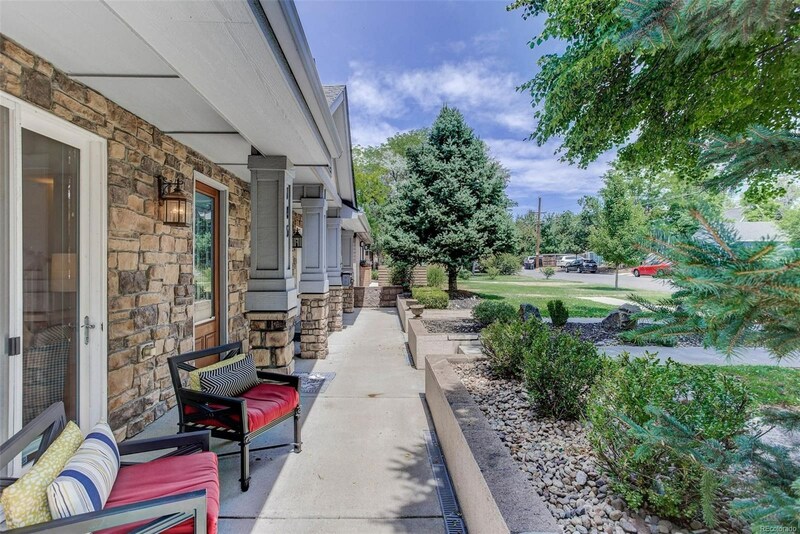 The home is close to all the Cherry Creek hot spots and is in Steck Elementary attendance area.